St Laurence’s Larder, on Christchurch Ave NW6, serves dozens of hot meals every Tuesday and Thursday. The team of volunteers also provide counselling, a hot shower, men’s clothes and a warm welcome to people of all faiths. Last week they served 90 Guests on Tuesday and 73 guests on Thursday with a hot three course meal. They also gave out 200 take away meals to guests, plus tin goods to help everyone through the weekend. 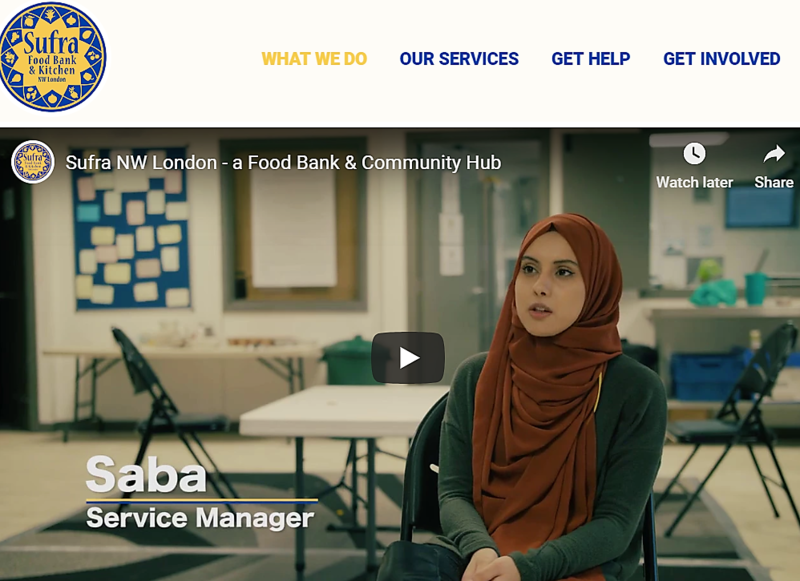 Sufra NW is based in Stonebridge and works across surrounding areas to address both the causes and consequences of extreme poverty, homelessness and social isolation in the community. The team make emergency interventions and provide courses for people in crisis so they can improve their well-being, learn new skills, find work and become financially stable. They are trying to raise £20,000 to pay for a new van, having delivered a truly amazing half a million meals in Brent! On 12 December they will perform the play “Food Bank As It Is” at Queens Park Community School (QPCS). They urge people to come and see it! St Laurence’s Larder is open on Tuesdays and Thursdays and Sufra’s Community Kitchen is open on Wednesdays and Fridays. They also work together to refer those in need and to share food when either is short of something. 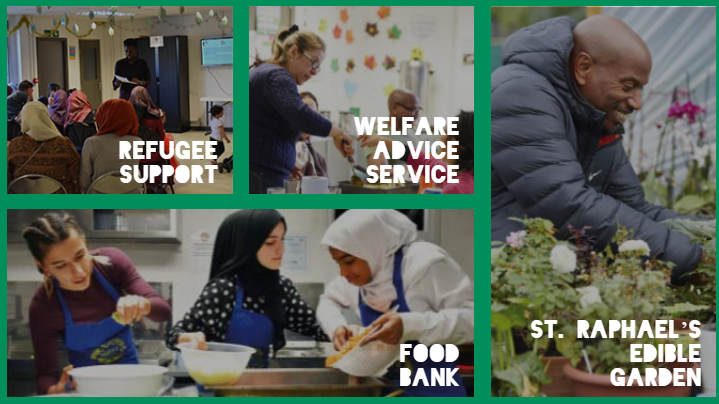 Like many food charities across London, St Laurence’s and Sufra are supported by brilliant organisations such as The Felix Project from Acton and City Harvest. Both collect food from restaurants and shops across London that would otherwise go to waste and distribute to charities. Both Felix and City Harvest also rely on volunteers and donations. There are other great charities and initiatives in our area, which you can read about in the “other ways you can help” link.